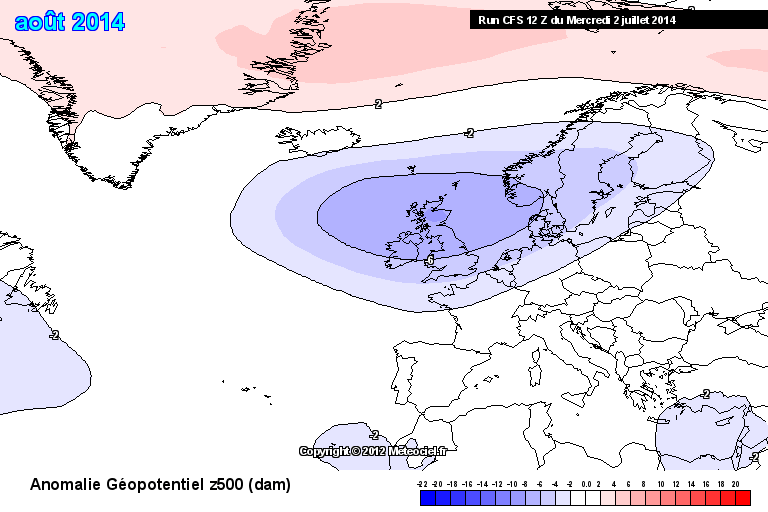 It has to be said the ECM is far more bullish with the upper trough next week. 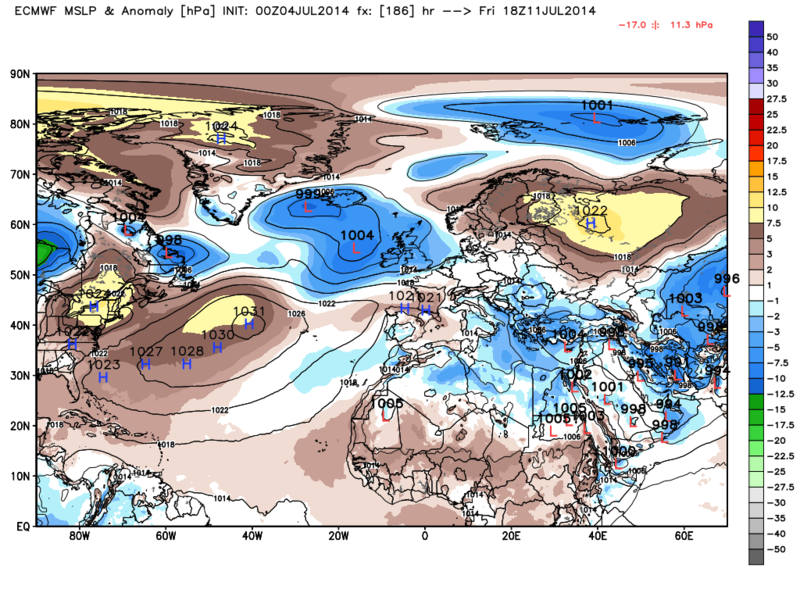 NOAA certainly isn't against the idea but slips the trough further east allowing for more influence from the AZ high. 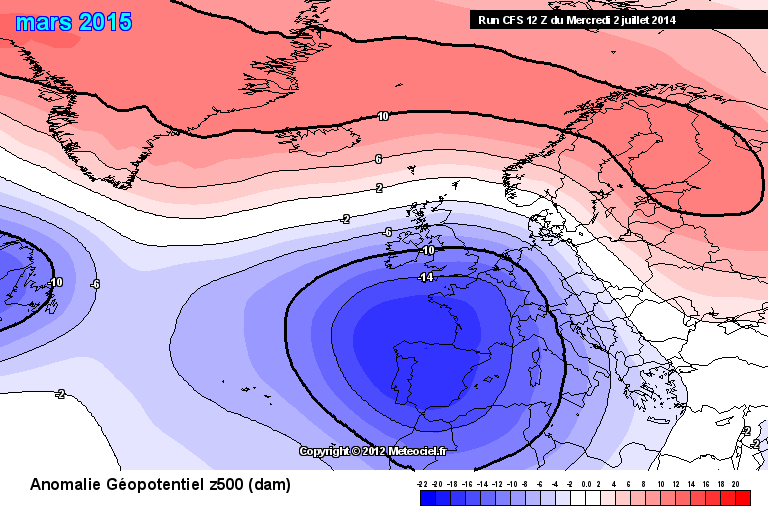 Await the ECM ens as I wouldn't go along with the ops at this stage. 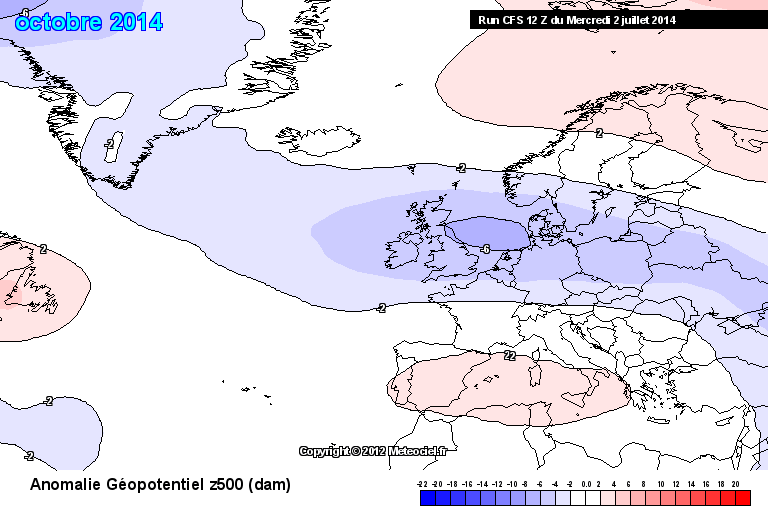 Bearing in mind the ECM bias then I am more inclined towards the GFS solution. 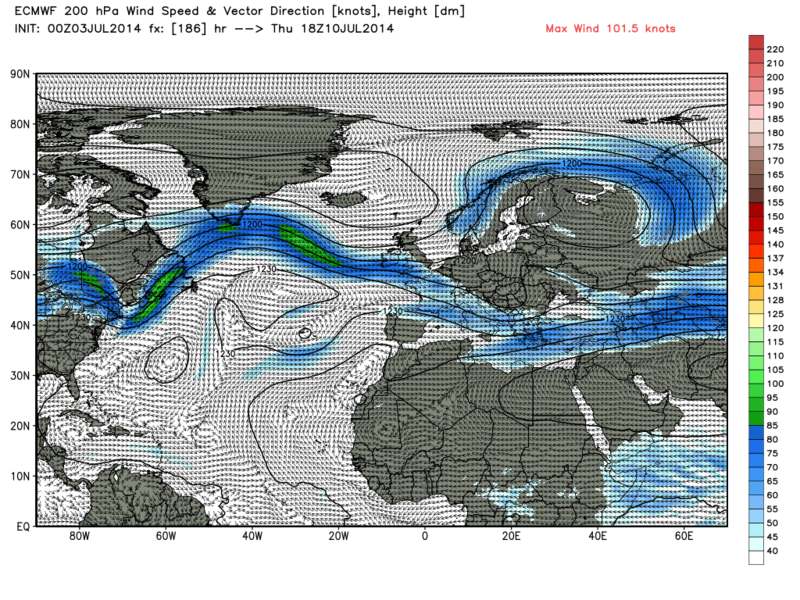 This suggests we will have to rely on favourable ridging from that region and this by nature will only be transient. 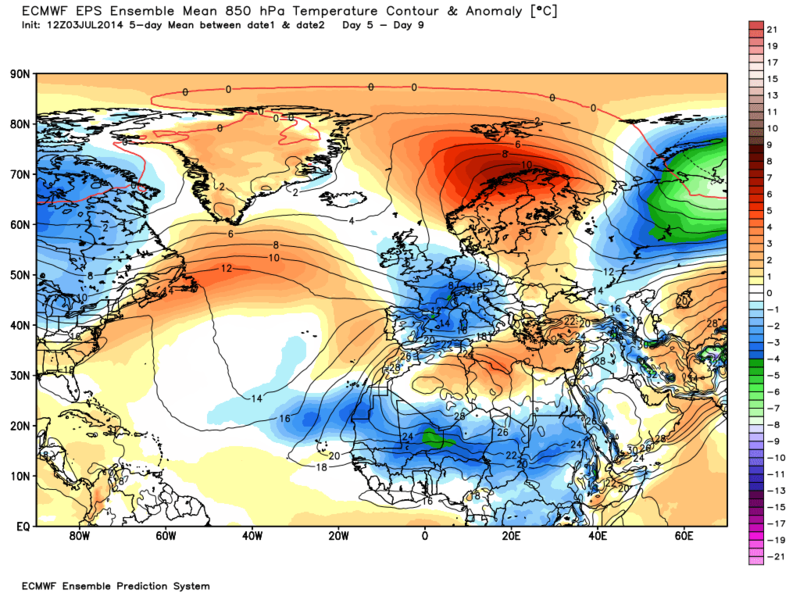 The GEFS try to retrogress the higher pressure to the east/NE but again it doesn't sustain on current output. Short term we have the trough incoming from late Friday for around 4 days, but after the cold front moves SE on Saturday the trough is rather shallow so temps in the South should recover quickly to around average. 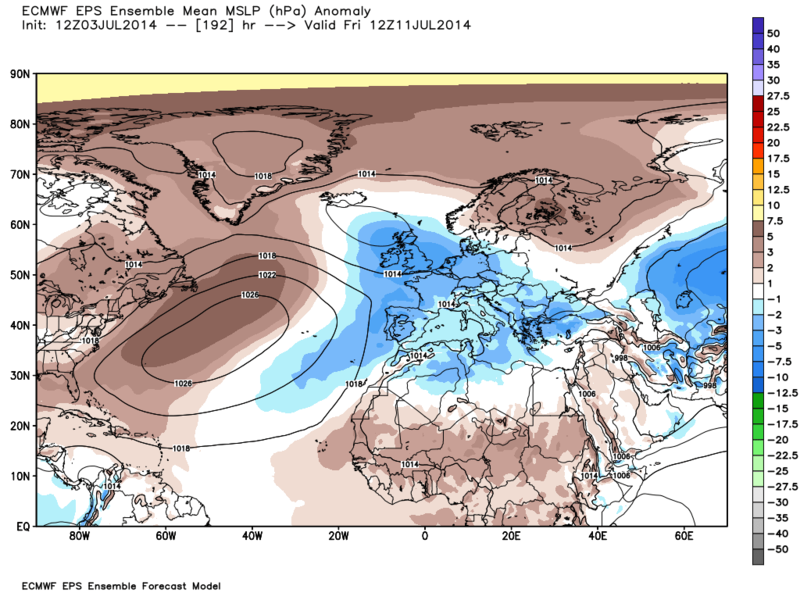 The low from around Sunday to Monday hangs around in the NW, so cooler and wetter there mostly in that period. The ECM ens isn't as bullish as the ops but still sticking to the trough scenario but with a tad more influence from the AZ high. The upper air pattern with a low over Iceland would seem to indicate a westerly flow with a familiar north/south split over the UK with nothing exceptional in the way of temps. There wouldn't at the moment be any sign of an established move to HP, more the opposite in fact with the jet staying fixed, albeit it's not that strong, in UK latitudes. 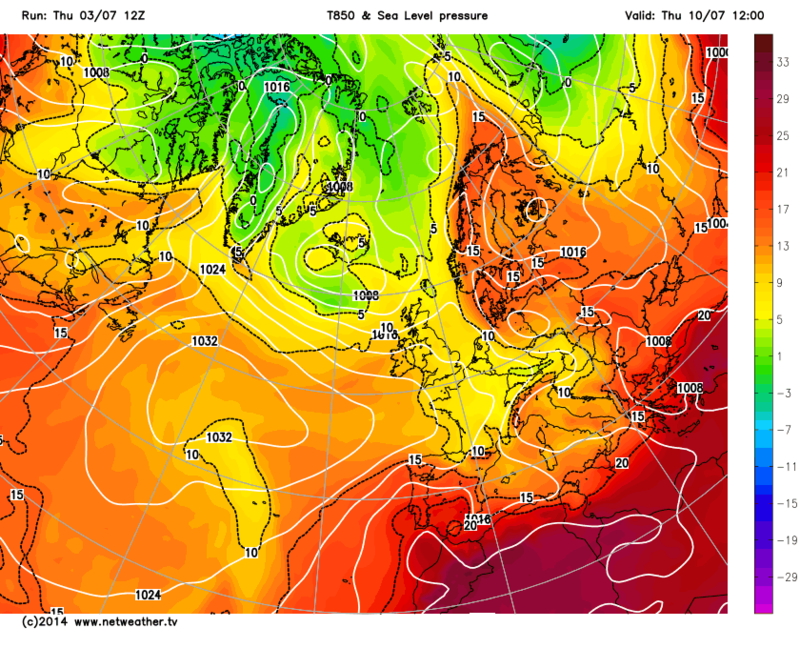 GFS6z shows an improving picture for Saturday with most of the rain fall over Friday night/ early Saturday morning. The rest of next week looks like a repeat of this week. All in all, fairly standard British Summer weather. 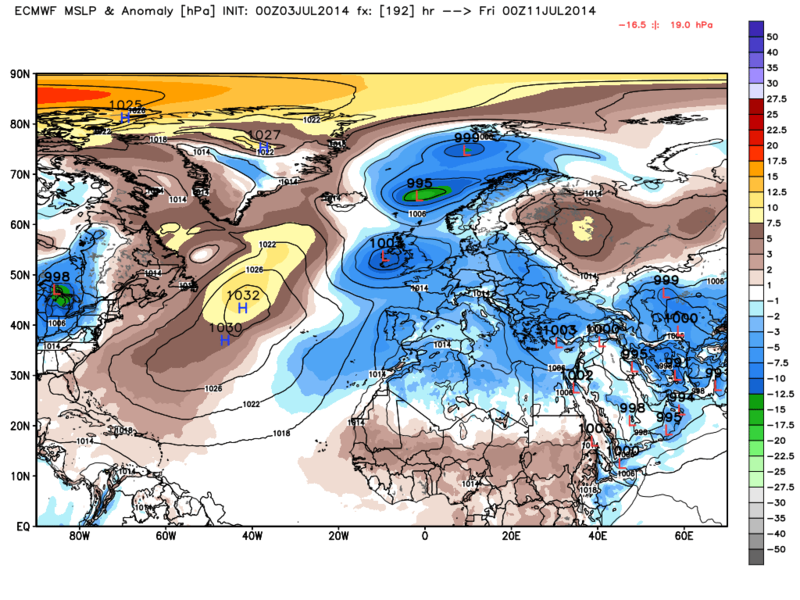 No consensus at day 8, probably due to the fact that the Euro still takes Author deeper to 968mb. UKMO sticking to its guns.. 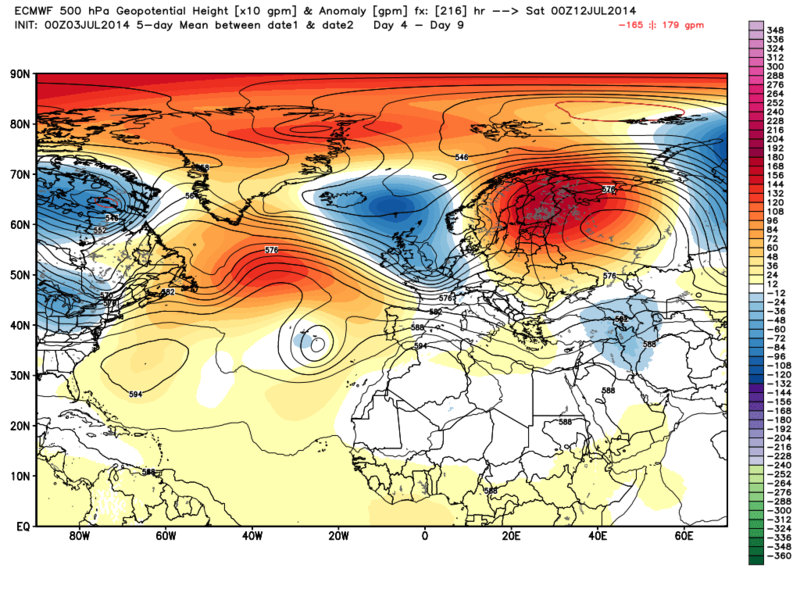 Some quite contrary solutions at play on the nwp at the moment (perhaps to do with Arthur?). 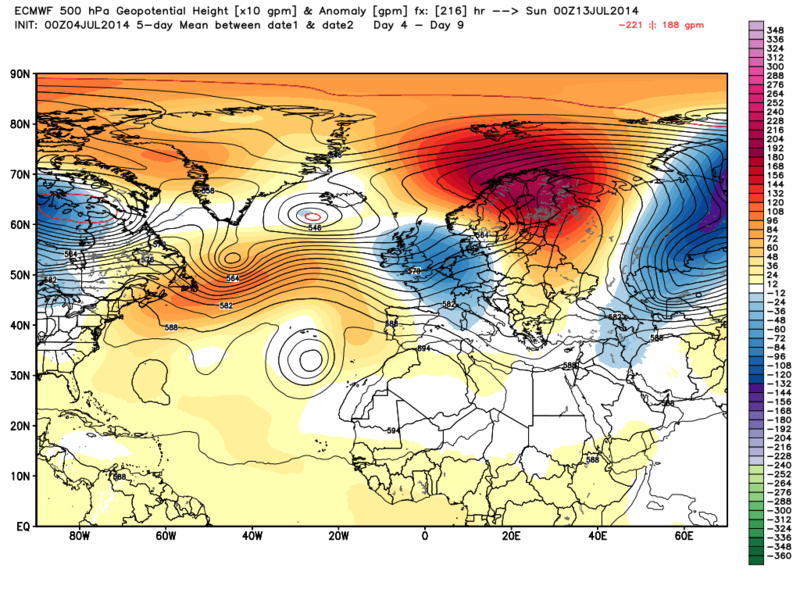 whilst many suites are keen to ridge the azores in next week, there also seems to be a retrogressive signal at play which would encourage some troughing in the mid atlantic. 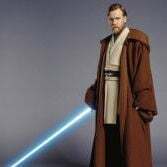 i would be very cautious about speculating what happens beyond day 6 until we see a general consensus on whether we are retrogressive or progressive.  then we can muse on how stagnant or not things may be within that general pattern. turning cooler in the north during the weekend but never falling lower than average in the south. 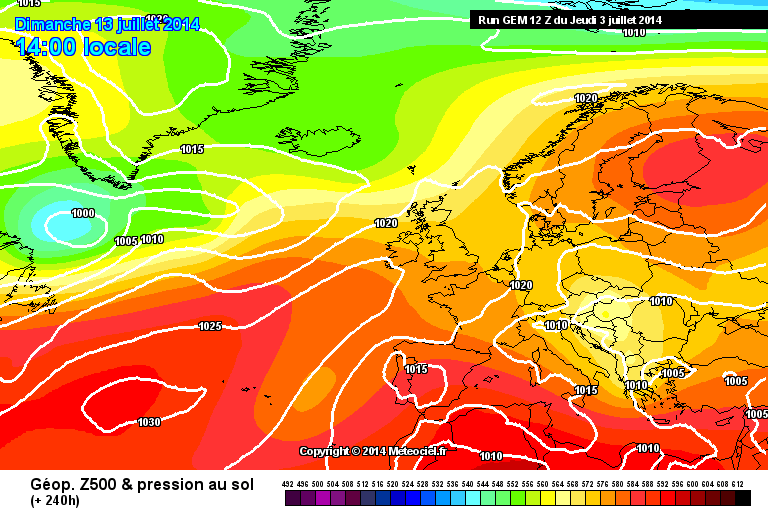 Looks like temperatures will rise again by the middle of next week, back into the mid-twenties in places. If this evolution actually happens of course. 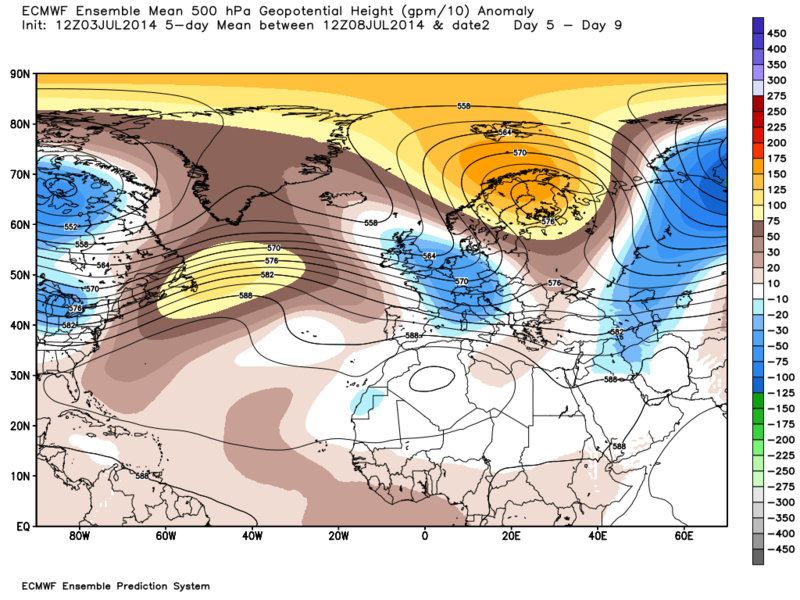 Yes so far it looks like modeling is squeezing the trough out by mid next week. 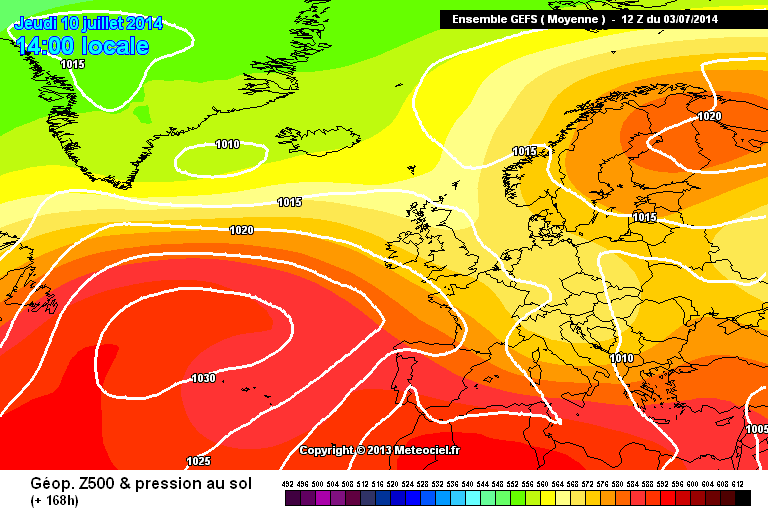 Looking increasingly likely that the unsettled period will not last too long and much of the country would return to pleasant warm and fine conditions. 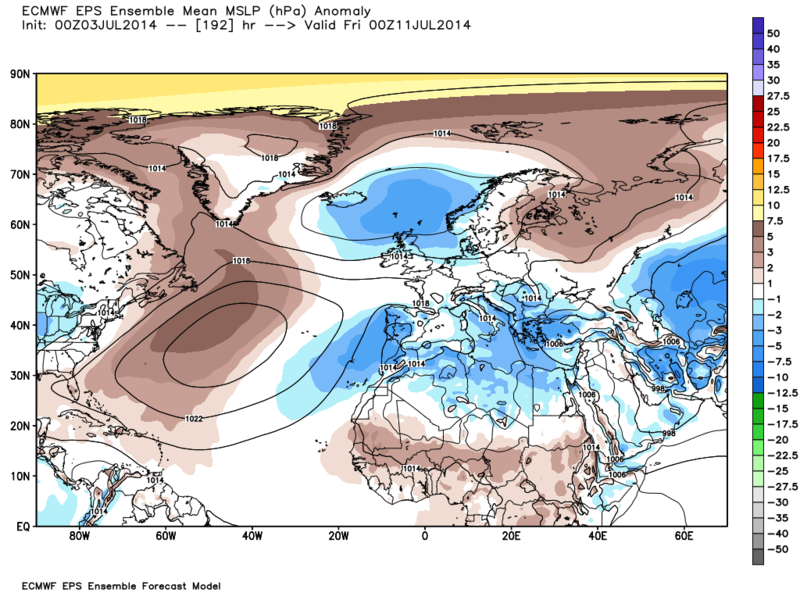 Maybe the far north still affected by weather systems from the retreating trough well into next week. Wow, you really can't trust the models at the moment, the ECM is completely different from this morning even at 5 days out. 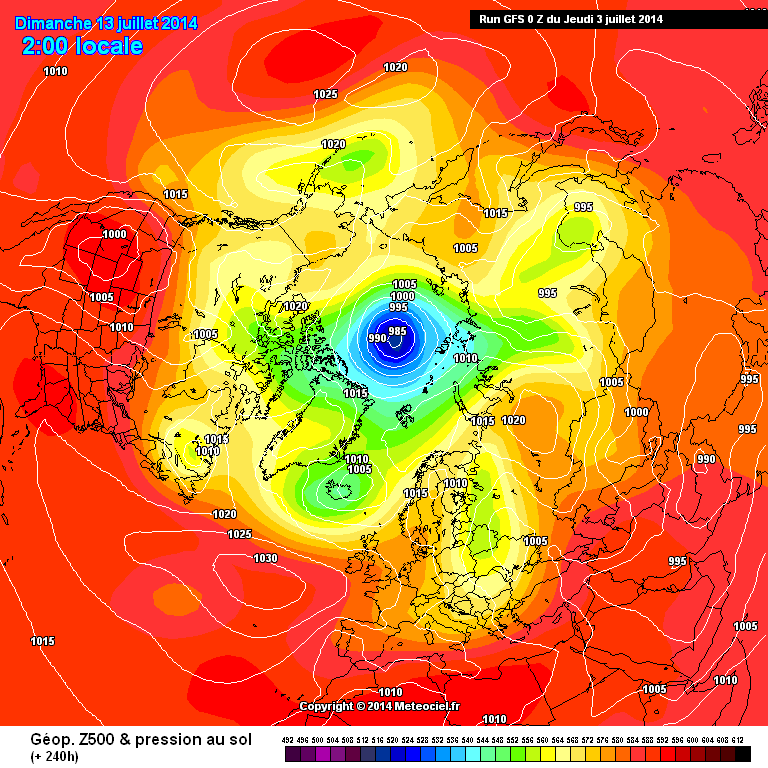 It wants to bring the high over Scandinavia into play as we enter week 2 with an easterly starting to set up. Again like this morning the GFS op is not successful in putting HP in situ over the UK and the outcome is messy with HP and LP never being far away and a continuation of the changeable June like weather. 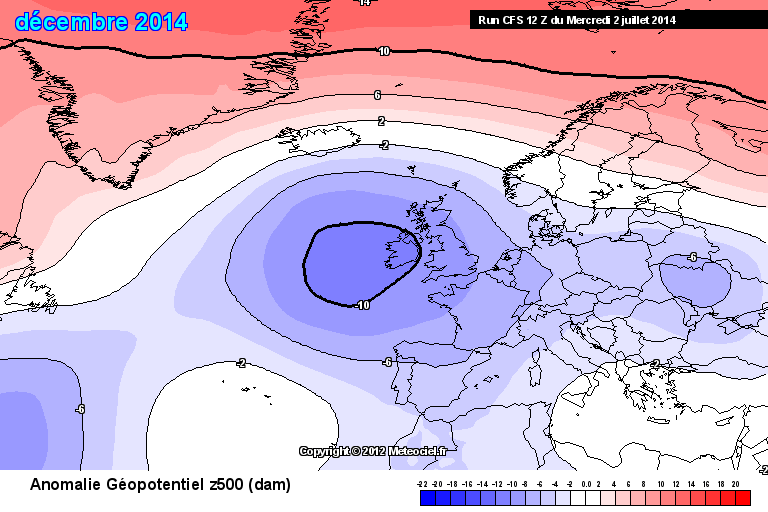 The GFS op and GEM op look the favourite outcome from looking at the GEFS but no certainty yet. 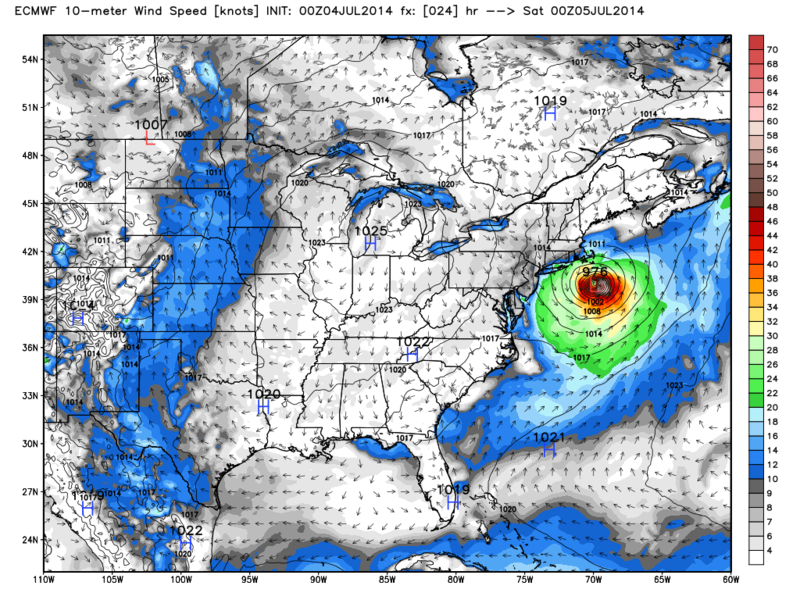 None of the models suggest anything too bad so more of the same probably. Obviously wont happen but unusual to see, and that would be a colder end to the year; and would balance out the warmer first six months. Quite an uncertain outlook, with the models toying around with various scenarios and little consensus for prospects as we move deeper into July. High pressure to the east, azores high wanting to ridge NE as well, but we have quite a strong jet to the NW and a troublesome trough which because of these two forces will do its best to anchor itself over us. 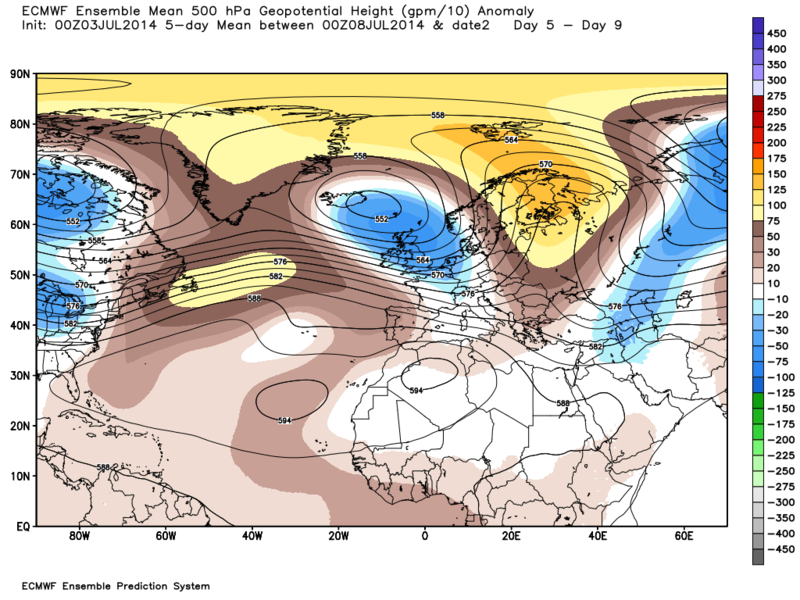 It will all depend on the strength of the trough and jet, if these weaken then there is a strong chance the azores high will ridge sufficiently NE to squeeze out the trough - but this is a scenario we have yet to see this summer. 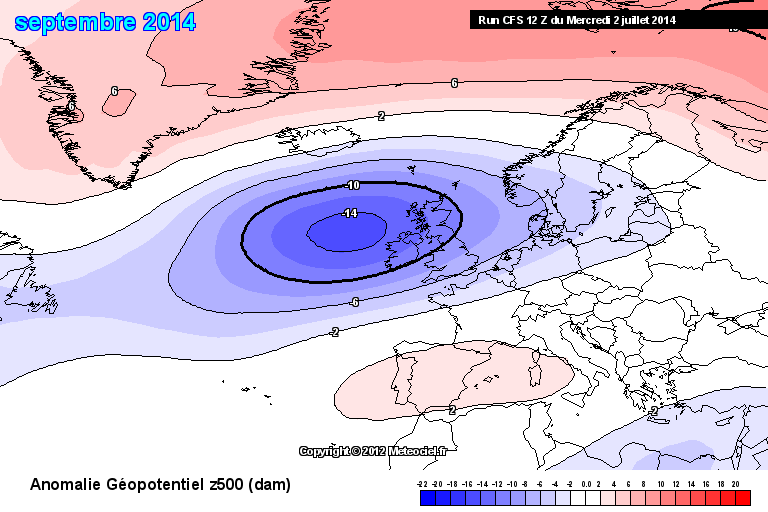 Conversely yes, heights to the NE could build strongly westwards, but I foresee this as a less likely scenario. 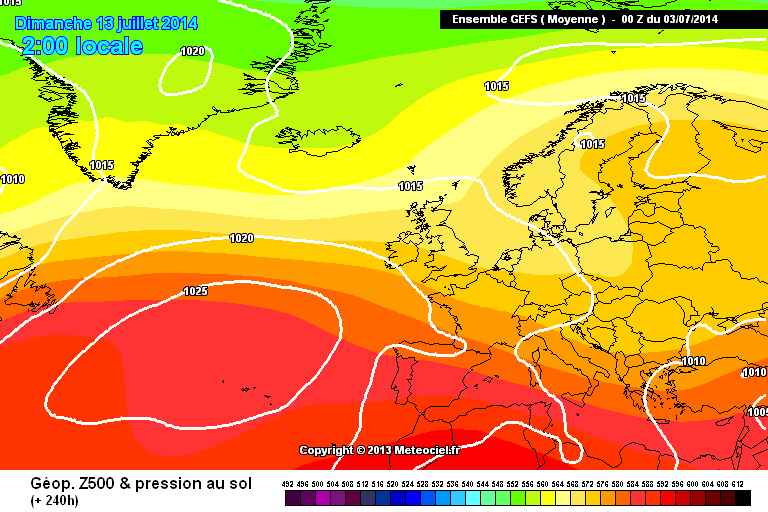 Quite typical conditions for the foreseeable, no sign of a classic summer heatwave pattern, nor a wet washout, just very average for July which equals not too bad at all.. 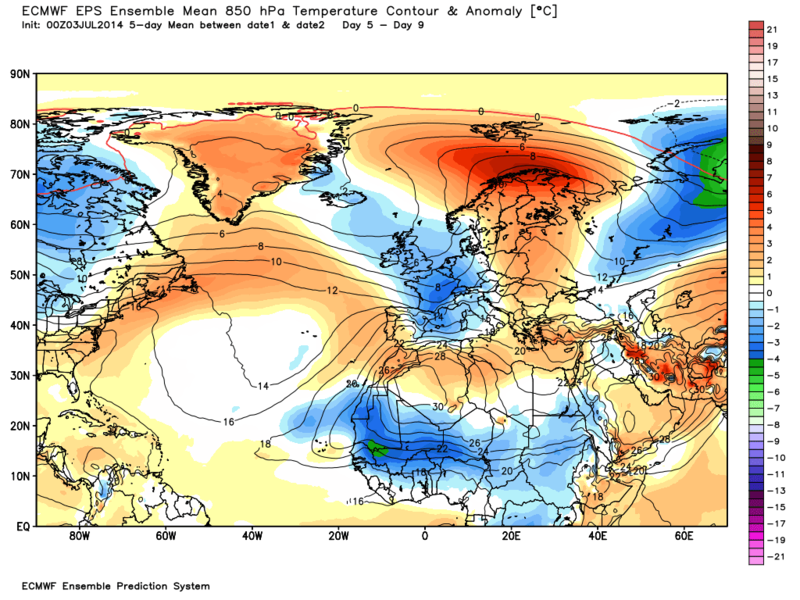 Looking at the ECM ens and NOAA 500mb anomalies holds out little change in the near future. The former is a little more bullish with the trough so hold out little hope of an incursion of any permanence from the AZ high and the jet would supports this. Th NOAA would perhaps be not so adamant but even in the 8-14, although there is a slight relaxing, hopes are not high for a major change, Heights remain strong to the NE so perhaps with this scenario this is the direction we should be looking. ECM doesn't want to let go of this - when the op remains consistent, it's time to take note. Without any other op support, it's unlikely to be completely right so we can expect something between the ECM and Gfs solutions. That's a fairly big envelope!! Where's your money b? I'll await the ens but in the meantime a quick look at Arthur. The tidal surge the main worry here. 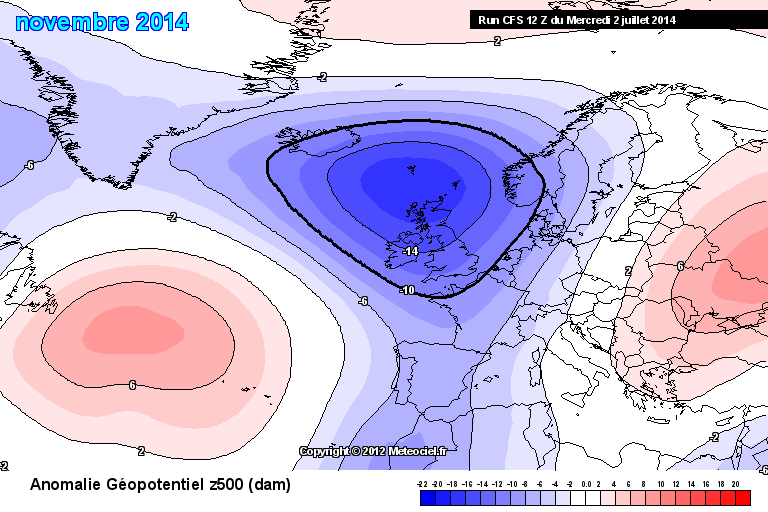 More of the same from the ECM ops. 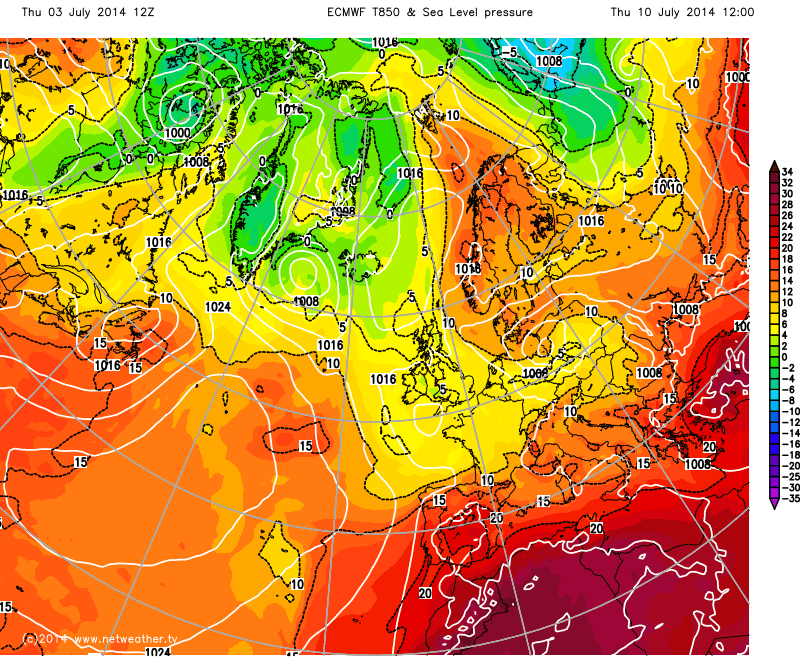 Upper low Iceland with trough over the UK and very warm air east of Scandinavia. 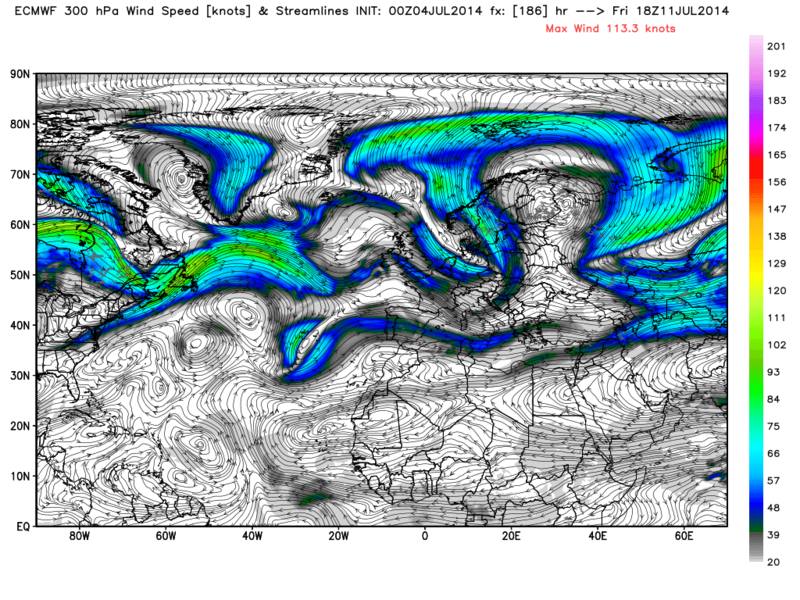 Diminishing influence of Azores high. Very fragmented jet. 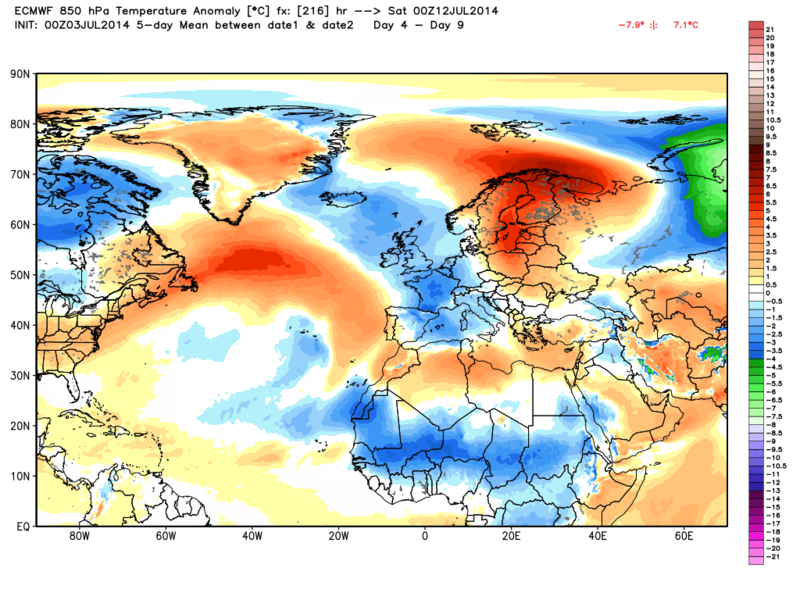 Surface analysis not good for the UK with cyclonic conditions and below average temps although not as cold as France. 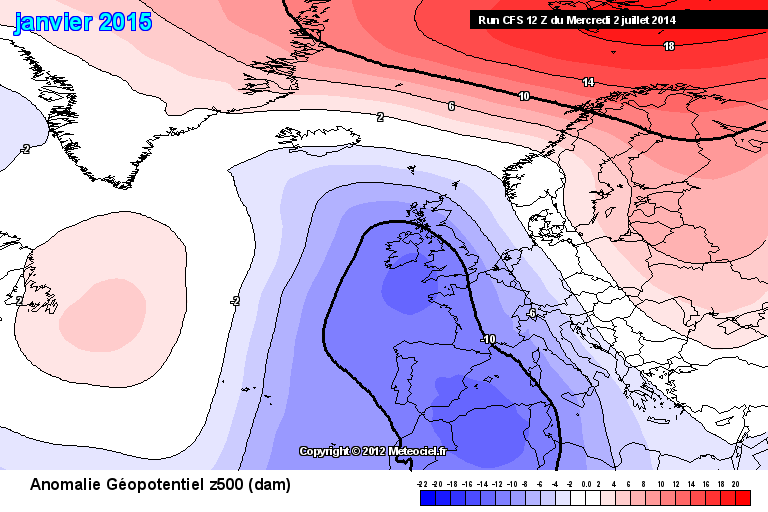 Last night 28% of the GEFS supported the ECM op. 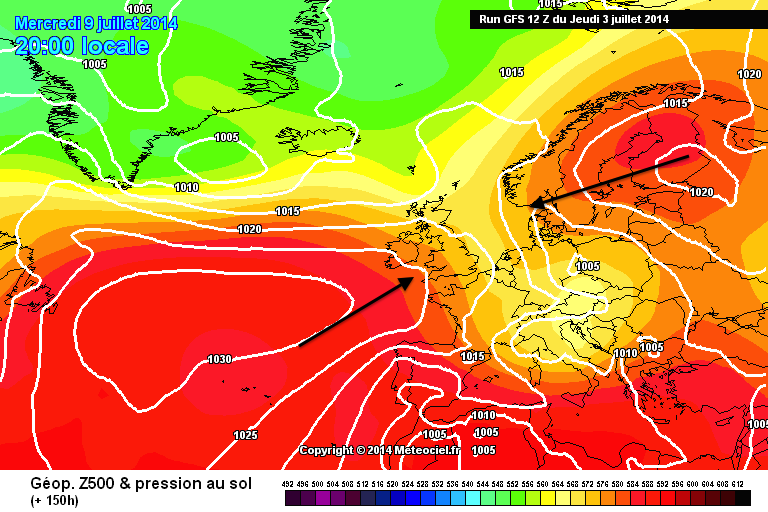 This morning at T168 its a 50:50 split either going the ECM or GFS op direction. 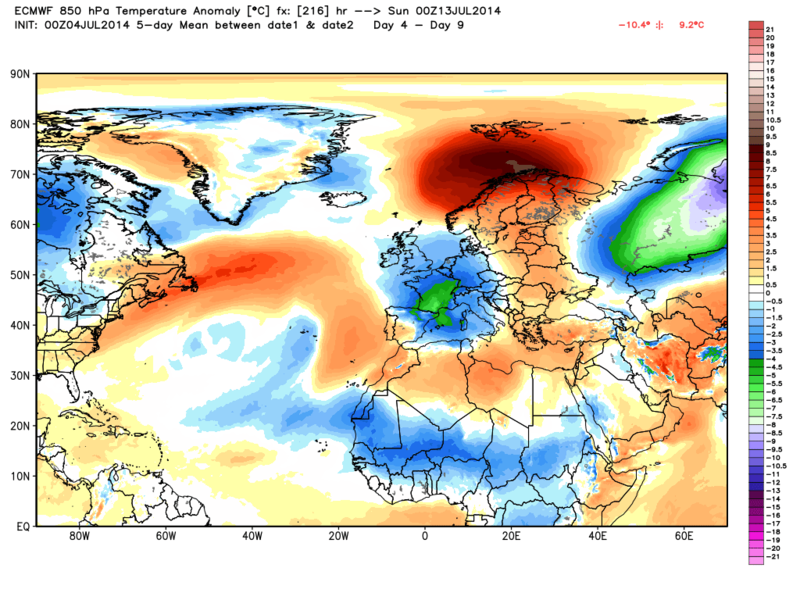 So subtle flow variations may mean a warm next week or an average one. 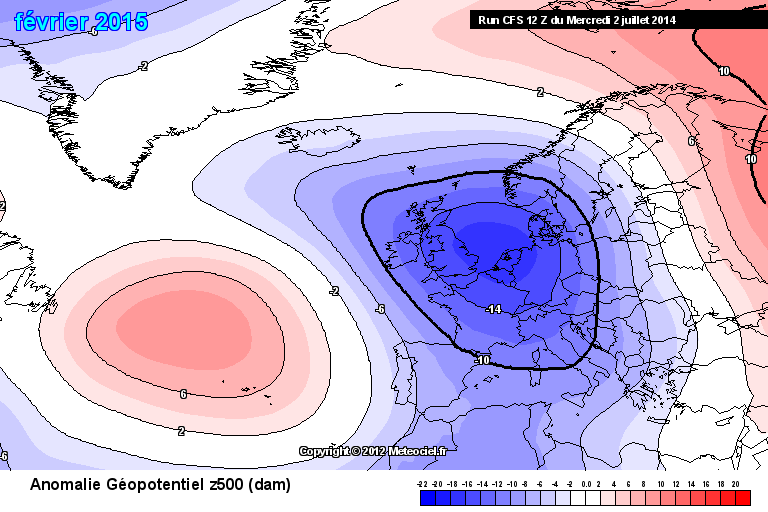 Bearing in mind the GEFS are also split this is to be resolved. 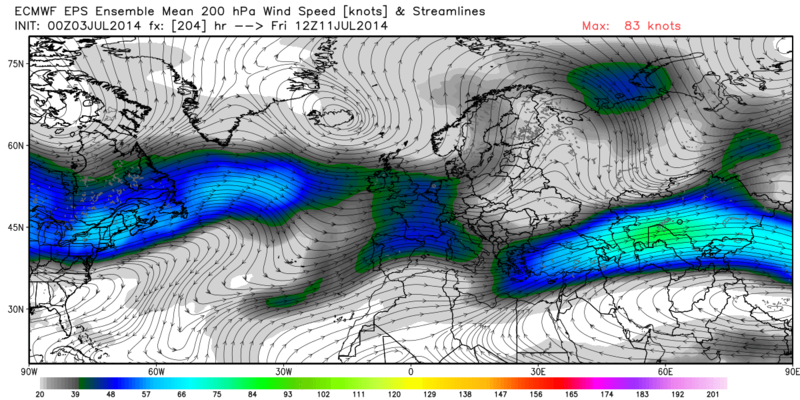 Looking at the 00z runs there does seem to be a trend for a steady eroding of the trough from the UK next week. 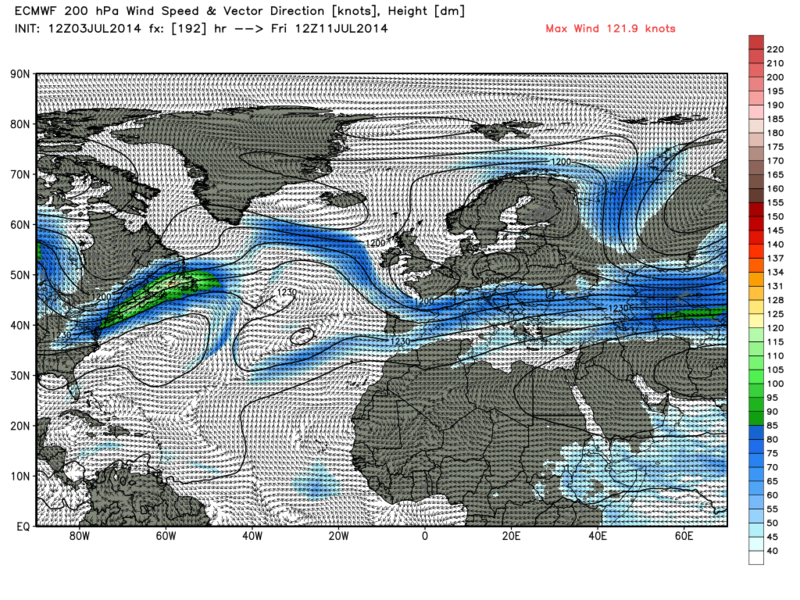 just illustrates the movement east of the upper trough from the UK. 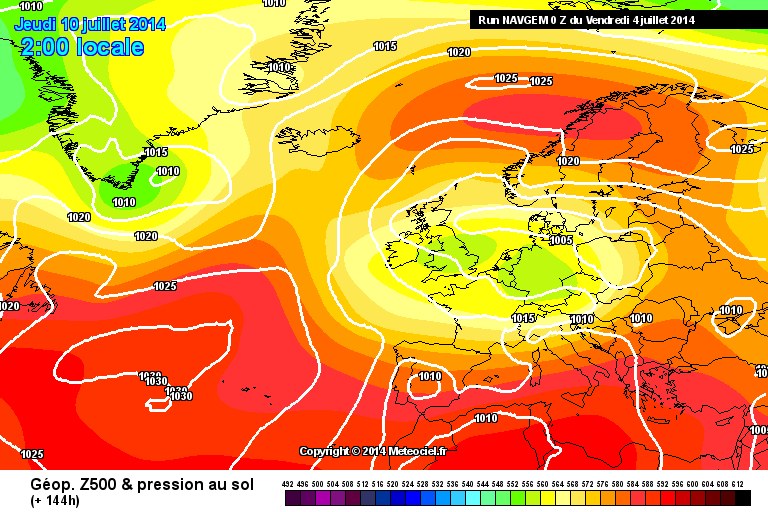 The ECM means at T72 and T168hrs go with this too. 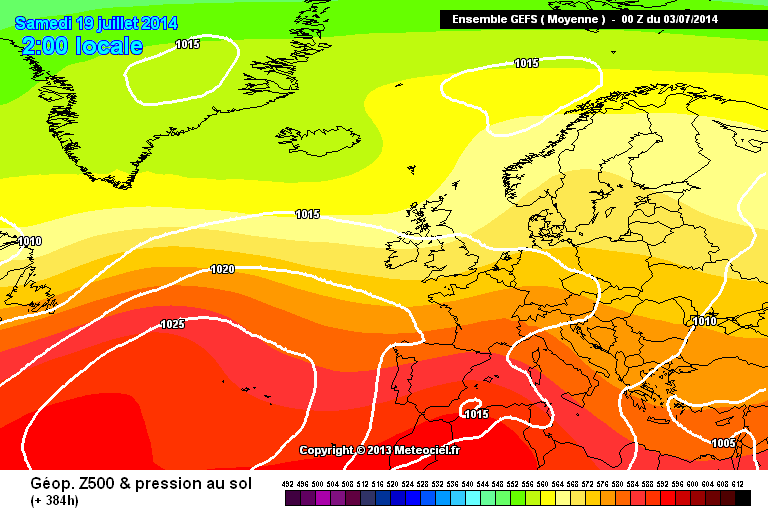 Certainly no heatwave to come but perhaps later next week a return to the more typical north/south split we have been seeing recently. The Azores high never quite close enough for widespread fine conditions by the looks of it with low pressure to our north west bringing trailing fronts around the top of the high at times.